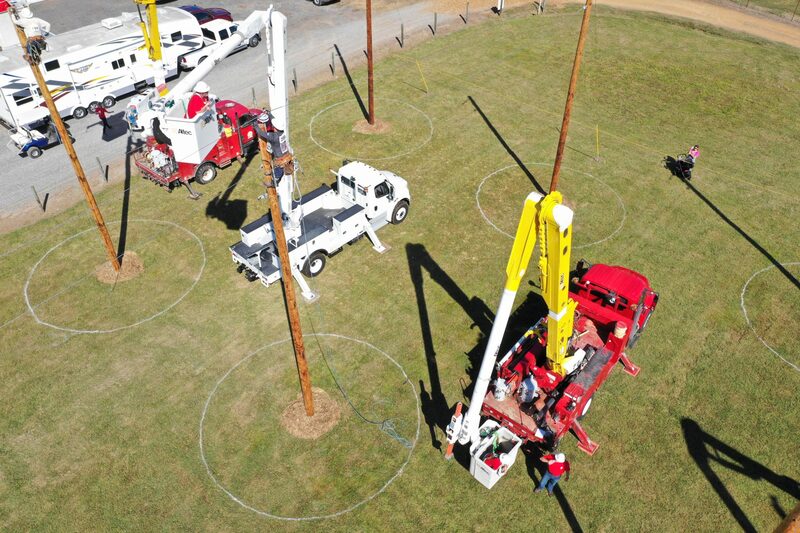 More than 125 Kentucky electric lineworkers from across Kentucky are being put to the test at the 14th Annual Kentucky Lineman’s Rodeo in Murray. Hosted by West Kentucky Rural Electric Cooperative at the Murray-Calloway County Fairgrounds, the event shows the techniques and safety procedures practiced by co-op lineworkers. Many linemen participating in this year’s rodeo are also preparing to be deployed to storm relief efforts after Hurricane Florence’s expected landfall. The Lineman’s Rodeo was created by the Kentucky Association of Electric Cooperatives to promote safety for co-op linemen around the state. The training and skills of these linemen are part of the mission of Kentucky’s electric cooperatives, to provide a high level of electrical service at the lowest possible price through a local, consumer-owned form of business.